Ford Fiesta Two Letter Paint Code? 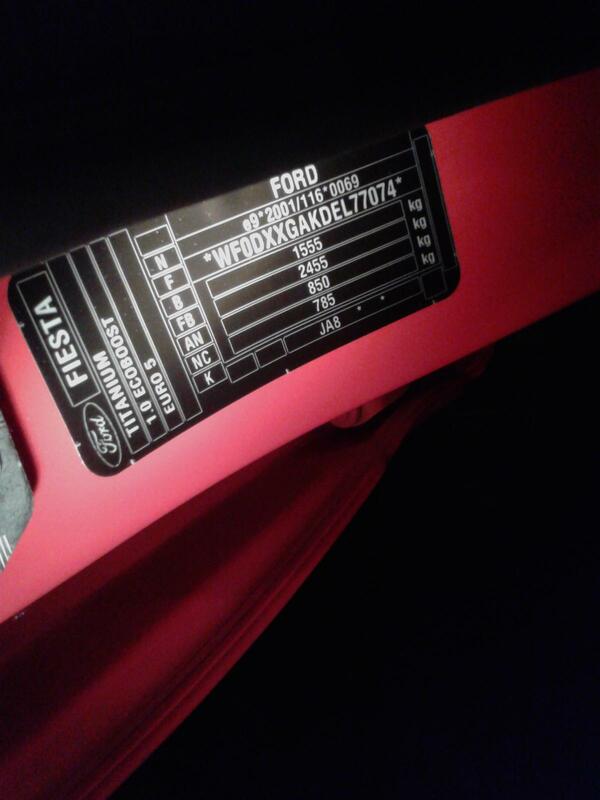 I am struggling to find the actual paint code for my red ford fiesta. It is not a letter and a number combination and I don't know where to look at in the attached image. Anyone can point me to the right direction would be great. I think it's 2nd from bottom. Ford etis site will tell you your paint colour. Your code is NC which is Race Red. Excellent, thanks for the contributions Stoney871 and Willy.